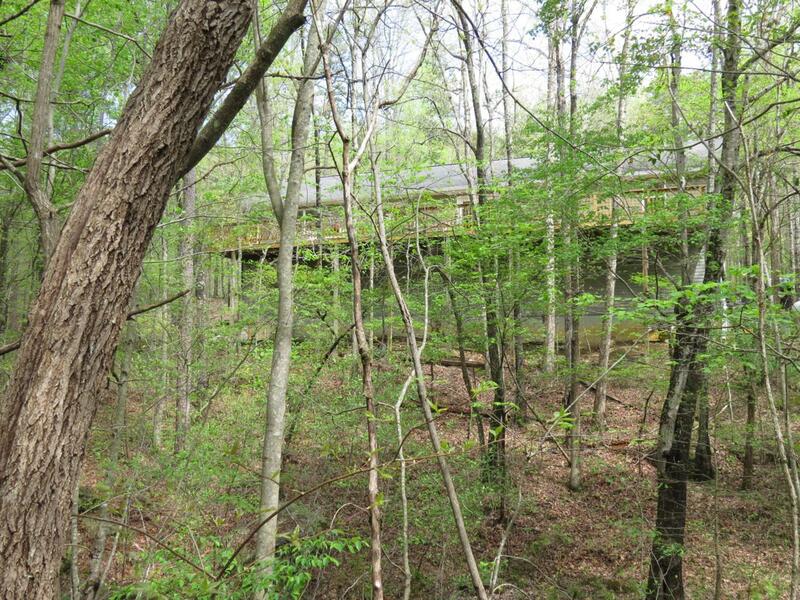 If you are looking for seclusion, 5 acres of land, an enormous 7 car garage, and a 25 minute commute to Chattanooga, TN, then this is it. A quarter mile long private driveway puts the setting out of sight of any neighbors. All utilities were brought in under ground to preserve the natural setting. This 3 bedroom 2 bath, home was built with 2''x6'' exterior walls providing a ridged structure while making room for the upgraded insulation for lower energy costs. The 7 car basement garage was built with 11 foot ceilings to have vertical clearance for automotive lifts (currently no lifts installed), and garage doors at both ends to provide drive through access. 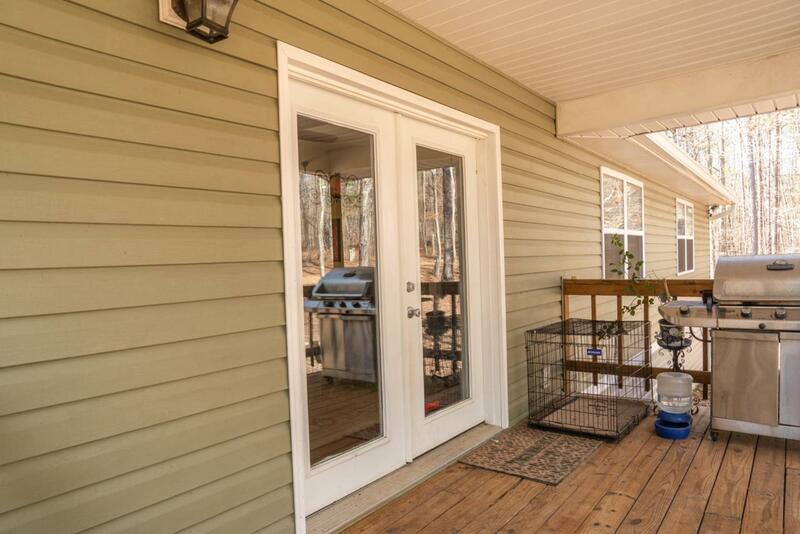 This home has recently been remodeled with new hvac heat pump, granite kitchen countertops, bamboo hardwood floors.Upgraded trim throughout and a 700 sq ft rear deck. All installed in 2018 Home also has 2 propane back up heating units and ceiling fans throughout.. The open concept, split floor plan, allows you a view from the large well appointed kitchen out into the large living room and dinning room, to the far end of the home where you will find 2 bedrooms and a full bathroom. On the other end of the home is the master suite with massive closet space, and a large master bath with double sinks, a garden tub, a 5'X5' walk through shower, and a private toilet room. Through a double set of glass doors on the rear of the home is a 700 sq. 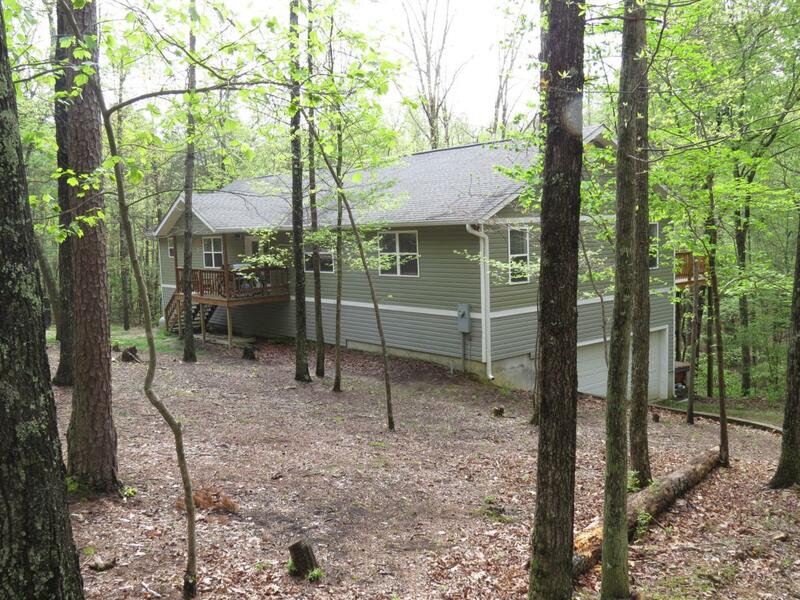 ft. completely private deck overlooking a small year round pond, fed by a seasonal stream. 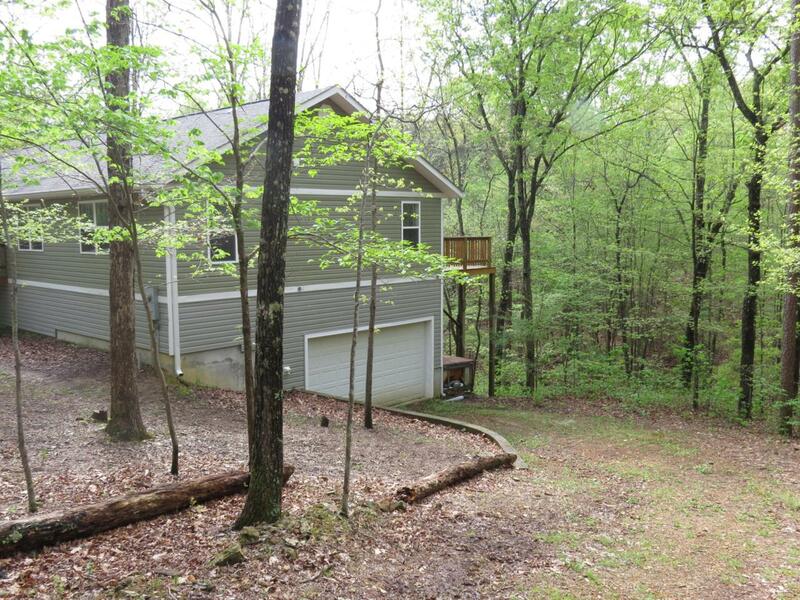 A very private, secluded freshly remodeled home with lots of upgrades, on a very private 5 acre parcel, with a huge garage, and an easy commute to Chattanooga. Who could ask for more? Buyer to verify any and all information they find important. Lot Size Dimensions 217799 Sq. Ft.